When it comes to how to grill safe in the winter, we’ve got you covered. There’s always a great way to grill food-even when it is too cold to grill outdoors. We’ll go over a few cooking ideas when it comes to enjoying food when it’s cold. Winter BBQ food is both delicious and nutritious, and there are plenty of options for a BBQ lover no matter which season it is. 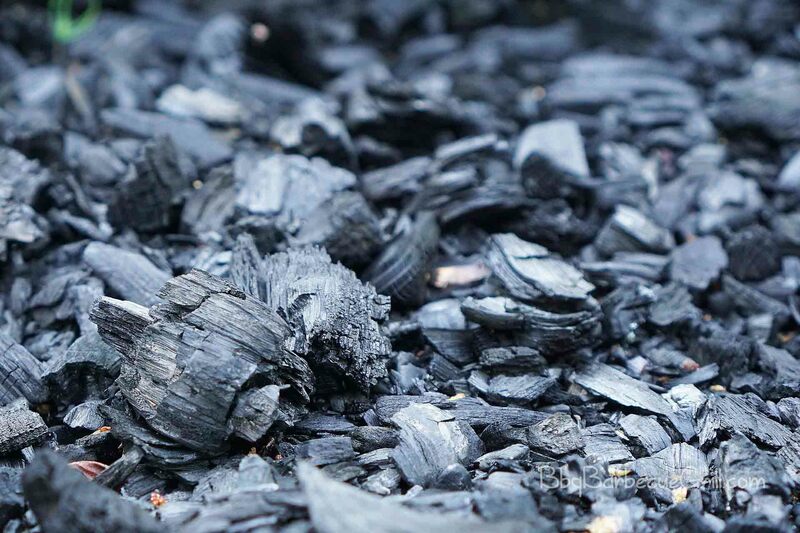 Charcoal Grilling in Cold Weather: Can You Really Do It? When you’re grilling in cold weather, do you need more fuel like gas and charcoal, or can you grill like you do when it’s 90 degrees outside? A lot of people have questions about how to grill in the winter. When grilling in cold weather, propane and charcoal are still options, but only when you’re outdoors. Many people will swear by outdoor grilling, even if they have to dig the grill out of a few feet of snow. The taste of grilled or soft barbequed meat is something to truly savor in the coldest months. Of course, you can grill in cold weather, but it’s not going to be the same as grilling in spring, summer or fall. Coping with the elements can be a challenge depending on the daily weather. Consider moving your grill and supplies closer to the house. It’s especially helpful to try to find a spot away from the wind, especially if you’re in a region that experiences large gusts. You can keep an eye on it, as well as move quickly to flip meat and do other tasks. Avoid cooking close to porches, overhangs, under decks or other parts of the structure that could catch on fire. Don’t ever cook in a garage or other enclosed area; you can give yourself smoke poisoning. Warm the grill well in advance, at least five minutes earlier than you do in the summer. Every grill is different but all of them will need extra time. After all, your grill has been sitting in the cold outdoors and will be frozen. Remember, every part of your grill is cold and critical parts could be frozen solid. You can even warm the grill for a longer time period than usual to make sure it thaws thoroughly. (Although it’s best to store your grill in the garage in the summer.) Leaving a gas grill outside during the winter is fine, but it’s important to check the tank often for signs of leaks or other damage. Have fuel on hand. Just like the human body, propane and gas act differently in cold weather, especially when it’s extreme. A lot more “effort” is involved in getting everything to the right temperature. If you’re cooking outdoors in cold weather, make sure you have enough fuel. More propane or gas is usually needed and it’s going to take twice as much fuel to keep a fire going in your grill. Winter grilling is a lot more time-consuming, and if you’re using charcoal or wood, you’re going to be going in and outdoors a lot to check on things. Become familiar with how to grill in the winter using your particular model. Believe it or not, many grill makers such as Weber have some good instructions on how their models function. Ceramic cookware keeps things warm. Use it when transporting food from the grill to the party you’re having indoors. Still afraid the food will get cold? When you bring your grilled food indoors, transfer them to a warm cast-iron pan inside the stove. Keep the stove on “warm” as you cook the rest of the food. Whether you are charcoal grilling in cold weather or using a gas grill, winter storage is important. Keep a cover on your barbeque grill, and keep it close to the house if you’re keeping the propane tank connected. Also check it to make sure it’s in the off position. Gas grill winter storage ideally takes place in the shed, or unplugged in your garage. (Don’t ever turn it on in an enclosed place, either!) 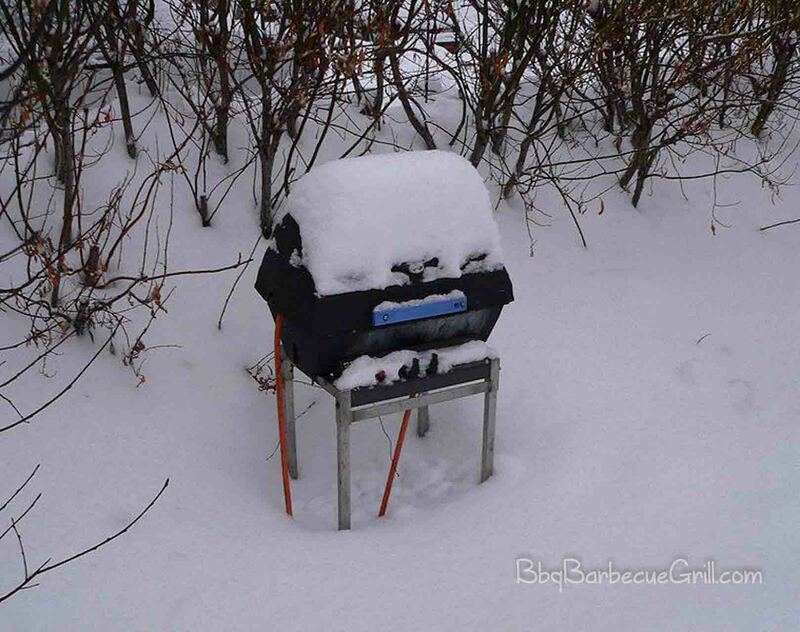 Leaving gas grill outside during winter can lead to damage and leave your unit vulnerable to snow, rain, and rust. Learn how to store propane tanks safely if you’re using a gas grill. Store them upright, on a stable surface outdoors, away from anything flammable. Make sure the tank is in the “off” position. If you own a propane tank, it’s your responsibility to check every week to see if it is leaking. Now that you’ve learned the basics, you may be wondering the best way to show off your barbecue foods in the winter. A lot of people like to throw parties with unusual themes – so why not have a winter BBQ party? It’s one of the easier outside winter party ideas. Winter BBQ food can be anything from a roasted turkey to a few ears of corn. Whatever’s available at the grocery store can be grilled beautifully. 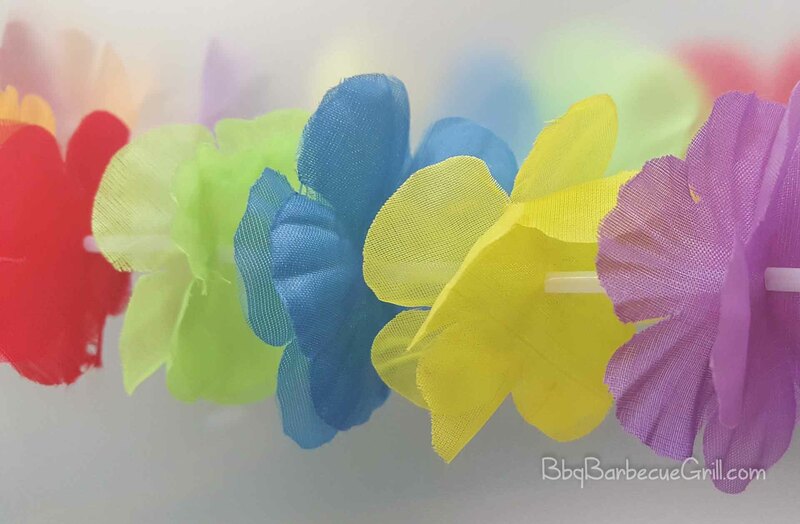 Luau party: Cook up some pork and have everybody wear their best summer clothes under their coats. Sundresses and Hawaiian shirts are the name of the game. In Hawaii, there’s a love of pork, rice, and grilled veggies. Don’t forget to buy a bag of lei’s to make it official. 1980’s themed party: Bright colors, the era of hip-hop, and in the South Bronx the DJ’s and the rappers were creating a new culture. An outdoor grill seems fitting no matter what time of year. Can you get your friends to do a rap competition, or maybe even breakdance? Hot dogs, hamburgers and corn are fitting for this BBQ party. Santa Party: If it’s cold near the holidays, maybe it’s time to skip the bar crawl and instead enjoy the festivities. Did I mention the guys should wear Santa outfits? Women can go as elves or just themselves. There can be a secret Santa gift exchange, and the main dish can be something besides grilled turkey. Maybe some BBQ ham, instead? Football party: Of course, cheering your favorite team requires food and beer. Why not make winter BBQ the food theme of your next game night? Your friends will love you. Make sure they bring the beer. Grilling in the winter can be fun, but it always takes some work to get it right. Once you’re confident in your grilling skills, it’s time to go ahead and plan that first party. It’s bound to be a success – after all, who doesn’t love perfectly grilled meat in the dead of winter? Your party is sure to lighten up the crowd and create memories for years to come.